The suspected shooter was found in Orlando, Florida. 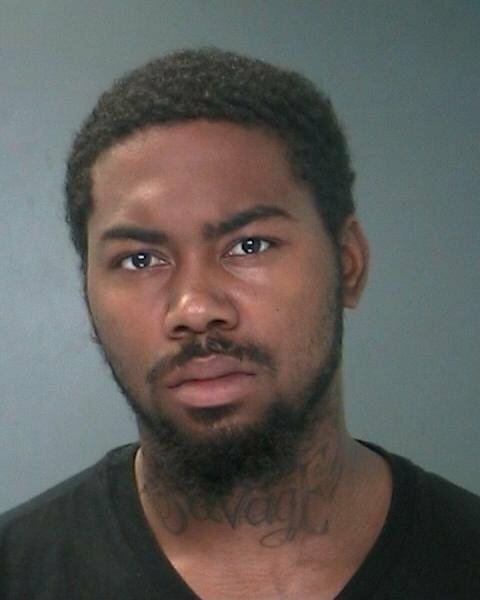 Orlado, FL - October 7, 2014 - The Suffolk County Police Homicide Squad, with the assistance of the US Marshals Fugitive Task Force, announces the arrest of a 22-year-old Copiague man for the May 9, 2012 shooting death of Eric Brooks, which occurred at 102 North 22nd Street, Wyandanch. Boyd Holland of 995 Great Neck Road, Copiague, was arrested in Orlando, Florida and returned to New York on October 7. Holland was charged with Murder 2nd Degree. He is lodged in the 1st Precinct and will be arraigned at 1st District Court on October 8, 2014. Wyandanch, NY - May 9, 2012 - Suffolk County Police Homicide Squad detectives are investigating the shooting death of a man in the backyard of a residence in Wyandanch last night. First Precinct police officers responded to 102 North 22nd St. on May 9 at 11:34 p.m. after a 911 caller reported a man had been shot in the rear of the yard. The victim, Eric Brooks, 35, of 98 Jefferson Ave., Wyandanch, who was shot in the torso, was transported to Good Samaritan Hospital Medical Center in West Islip where he was pronounced dead. Detectives are asking anyone who may have information on this incident to call the Homicide Squad at 631-852-6392 or call anonymously to Crime Stoppers at 1-800-220-TIPS. All calls will remain confidential. Subject: LongIsland.com - Your Name sent you Article details of "Police Arrest Copiague Man for 2012 Shooting Death of Wyandanch Resident"